If you are a women located in Alameda County California suffering from the Essure birth control device, we are the first law firm in California to file an Essure lawsuit claim. National Injury Help shares positive news from the Superior Court of California, County of Alameda regarding the future of Essure litigation, as reported by Motley Rice LLC. Judge Winifred Smith ruled the claims of 14 women injured by Essure could proceed against the device’s manufacturer, Bayer Healthcare, finding the claims were not expressly or impliedly preempted under federal or state law. Essure, a non-surgical, permanent sterilization device for women, was approved by the Food and Drug Administration in 2002 under its Pre-Market Approval program, granting it immunity from lawsuits under federal preemption law. The device has been linked to serious adverse side effects in thousands of women, including device migration, perforation of nearby organs, chronic abdominal and pelvic pain, heavy and irregular bleeding, symptoms of nickel poisoning and autoimmune reactions. Judge Smith’s decision not only addressed the 11 claims made by more than a dozen women filed in the California Superior Court, but also improved the prospects for recovery of thousands of other women harmed by the device. Judge Smith also said the plaintiffs’ claims that Bayer negligently trained physicians and manufactured Essure improperly could survive preemption if plaintiffs re-plead those claims with more details about how Bayer’s conduct caused their injuries. The ruling is a clear sign that claims will be allowed against Bayer in spite of Essure’s federal preemption status. In addition to Judge Smith’s ruling regarding Essure and federal preemption, she also accepted the September 2015 hearing as a plausible discovery date. This suggests both that new claims may not be time-barred and that there may be some urgency to get new claims on file in states with short statutes. National Injury Help has been working with attorneys from Motley Rice, Janet Jenner & Suggs and Grant & Eisenhofer to help thousands of women who have allegedly been harmed by the Essure device. We are especially interested in filing Essure claims from any victims located within Alameda County California. Contact our Essure lawyers & Attorneys today for a free case evaluation. 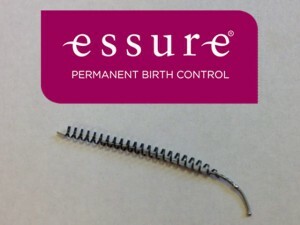 Top Essure Lawyers & Attorneys in Alameda County CA page updated on April 10, 2019.